Each year The Pearson Institute hosts a variety of lectures, workshops and seminars that explore specific topics, bring constituents together and create opportunities for scholars to receive valuable peer commentary on their current work. Unless noted otherwise, all events are held on the University of Chicago campus. The third annual Pearson Signature Lecture will feature Ambassador Dr. Husam Zomlot, Head of Palestinian Mission to the UK; Strategic Affairs Advisor to the Palestinian President; and former Head of PLO General Delegation to the US. Join The Pearson Institute for a screening of Hope: The story of the Northern Ireland Good Friday Agreement 20 years on. This film documents how campaign organizers harnessed grassroots support in the referendum approving the historic Good Friday Agreement ending 30 years of conflict. The screening will be followed by a panel discussion with the filmmakers. 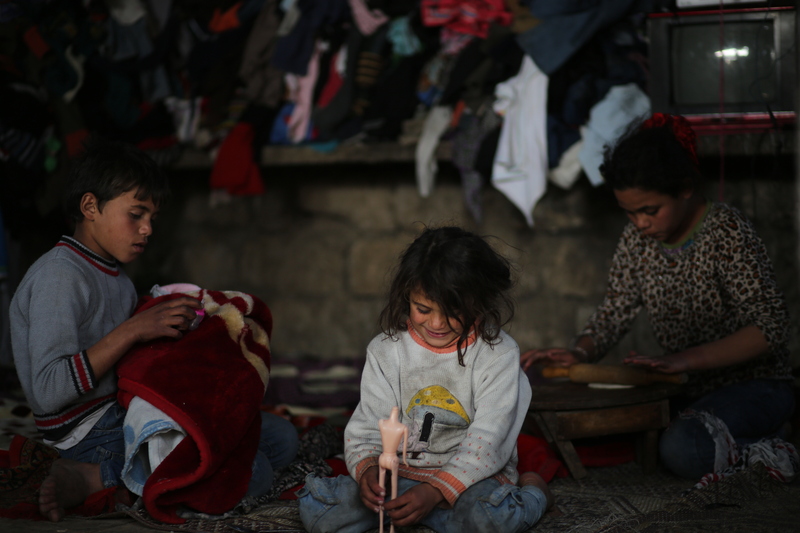 Palestinians children sit inside their dwellings during the power cut on winter season in Khan Younis, in the southern Gaza strip on 12 January 2017.